quilt top–WIP, originally uploaded by SewLaTea. 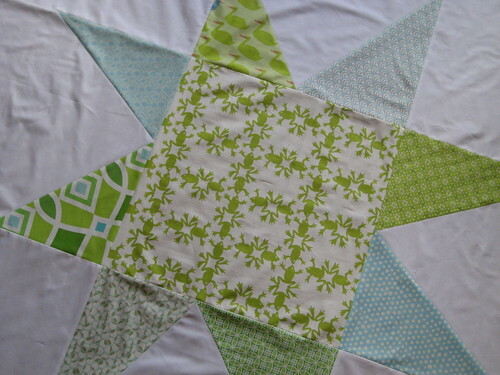 A peek at what I’ve been working on…a new quilt for a new baby to be. He’ll be here in less than two weeks so I better get moving and finish up this baby. It’s actually a 60″x60″ star! I made one ginormous wonky star instead of several smaller ones. Trying to figure out how to piece the quilt back now. 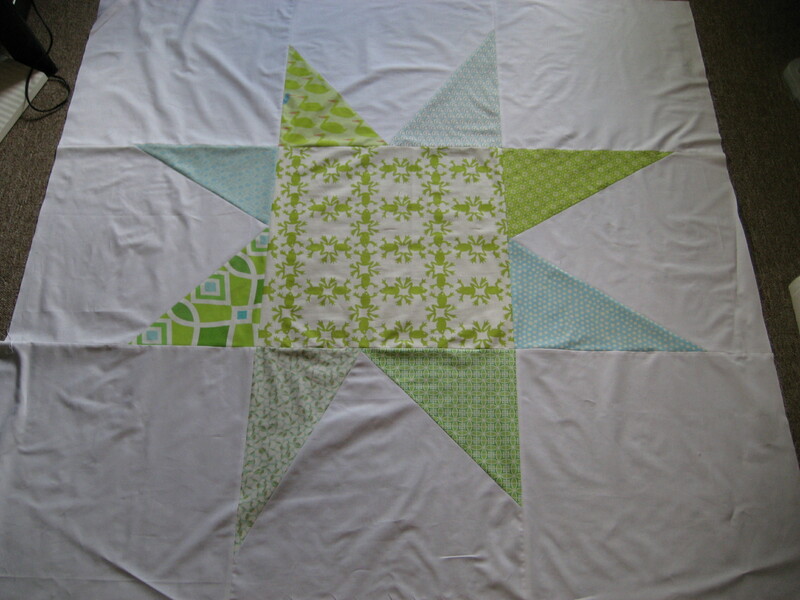 Maybe thinking 5 small wonky star blocks across the quilt with white everywhere else….or I was also thinking baby blue flannel for a softer feel…better decide soon. Also thinking about how I’m going to quilt it. I’m tossing around some different ideas.